Antonio Conte is reportedly willing to give everything to the club this season, despite the major setback the team has recently faced. 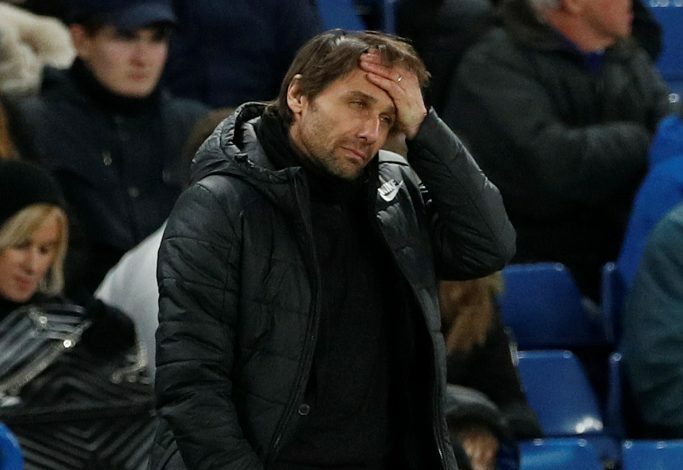 Chelsea’s hopes of qualifying for next season’s Champions League were shattered last night, as they suffered a defeat against Tottenham Hotspur. Nevertheless, the Italian tactician has conceded that he has absolutely no concerns over his immediate prospect at Stamford Bridge, and is solely focusing on the current season. When asked whether he fretted for his future after having lost the hopes of acquiring at least a top-four finish, the illustrious gaffer said: “I’m not worried. I’m giving – the players are giving – everything. “We are working very hard to try to have a good season but, in the end, we are deserving this season. It means our value is this. “I have my opinion but I’m very tired of always repeating the same things. I don’t want to create problems. If we are in this position, we deserve to be in this position. You have to ask the club, not me [about the significance of finishing in the top four]. Despite the heroic performance the Italian showcased in his debut campaign, he now faces the likelihood of being sacked over the summer. However, the instrumental figure is gathering up his frustrations to give his all to what is left in the remainder of this season. Moreover, the 48-year-old has been protecting his players by shouldering the majority of the criticism aimed at the club, and also by diverting it towards the board and the club’s transfer strategy. However, with a few weeks left in the current campaign, the club might stick with the gaffer through this mess, and might as well provide him with a second chance, as looking for a manager better than Conte would prove to be troublesome for the board.